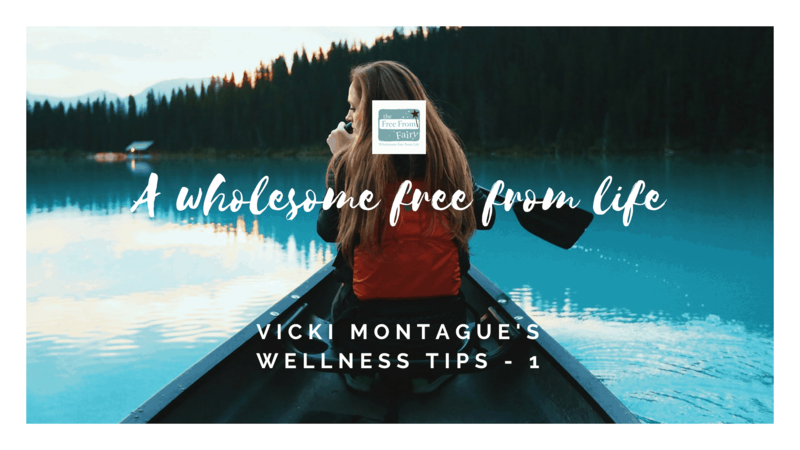 Wellness Tips - October 2018 : Tips For A Wholesome Free From Life. As promised a few weeks ago I’m sharing my wellness tips for October. These are things that I’ve done in the last month that have contributed to an overall feeling of being well. Many of you read my blog about a change of direction for my site. Moving not away from food, but to incorporate all the other things that make up a wholesome free from life. For me it is so important to look, not just at what we put in our bodies in the form of food, but also at what we do in addition to that to live a life of health and happiness. That means being mindful of what we listen to (news is generally negative folks so if you want to feel negative go ahead and listen to it all day long!). What we put on our skin (after all it gets absorbed into our bodies). What we read, what we do to relax, how we deal with stress, how we move etc. If you have allergies or intolerances to food (or coeliac disease) then of course the first thing you do is focus on food. But actually there is so much more you can do to ‘feed’ yourself healthy once you have your head around your diet. Looking at how you sleep, what exercise you do, how you deal with stress, your state of mind…these all contribute to you getting better and living more healthily. So, although I’ve been shy about sharing the things I do, I’ve decided that it’s time I did share. My aim is to inspire and empower you to make little changes to your life that could lead to greater health and happiness. If there is anything I talk about that you want to know more about then please get in touch. « What On Earth Is…A Gluten Free Flour Blend? Hi Natalie, sorry the video was too long for you! Next time I will try to give a bullet point summary to go with it. I didn’t find your video too long. It was very informative and I thought you done a great Job. I could relate to pretty much everything you spoke about and will be looking up the books, they sounds so interesting. Did you buy the oils as a starter pack or have you created your own selection over time. Please can you confirm the name of company? I started receiving your news letter because I have a gluten, dairy and egg intolerance and found your recipes useful. Look forward to your video next month.